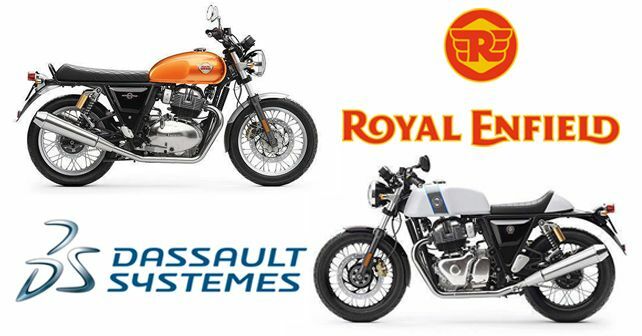 With the help of Dassault Systemes' SIMULIA applications, Royal Enfield has been able to perform simulation-based testing of critical components like powertrain and chassis for all its existing models. Royal Enfield (RE) has been able to perform some ground-breaking simulation testing of multiple critical components of its motorcycles with the help of Dassault Systemes' SIMULIA family of applications, which has enabled the Eicher-owned brand to drive innovation and efficiency across its design and product development lifecycle to the next level. While the SIMULIA applications work on the 3DEXPERIENCE platform, they allow simulation-based testing of critical components under varying, real-world conditions prior to any prototyping. This goes without saying that design changes are much simpler and efficient to implement at the simulation stage than after a prototype has been prepared. The latest RE models, the Interceptor 650 and Continental GT 650, underwent a complete piston durability test with these applications. 'Consumer expectations, regulatory bodies, international laws and environmental concerns are constantly pushing OEMs and suppliers to innovate new products, designs, systems at a much faster pace. This has reduced the time of a design concept, visualisation, production manufacturing and supply chain significantly to less than two years. In such circumstances, real-time simulation of the vehicle, parts and components is critical to reducing the time to the market and cost of testing on physical prototypes,' said Samson Khaou, Managing Director - India, Dassault Systemes. 'Royal Enfield is regarded as a legend in motorcycling and we are happy that they have trusted our simulation applications on the 3DEXPERIENCE platform to enhance their product innovation journey,' he added.